This is probably the first photographic experiment I ever did - capturing the rose flower against a grassy background using various aperture values. Even with a compact camera, the change in background blur is difficult to miss. 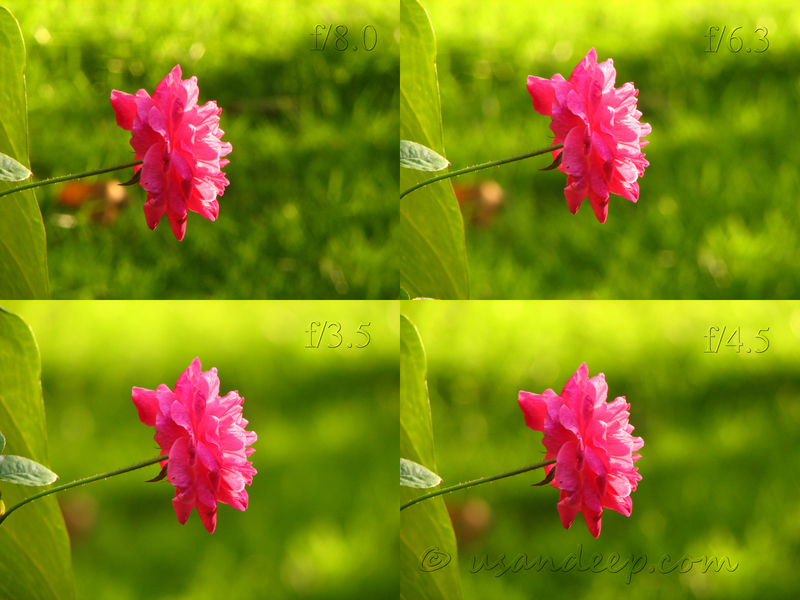 At the widest aperture (f/3.5), the grass is mostly blurred, but gets more and more visible at narrower apertures.